Florida A&M University’s Marching “100” is home after ringing in the New Year in grand style, making history with a first-ever performance in th e Pasadena Tournament of Roses Parade, which precedes the annual Rose Bowl football game. FAMU President Larry Robinson, Ph.D., and First Lady Sharon Robinson watched the band’s performance from the stands lining the famous parade route and cheered on the students. “It was really phenomenal seeing the ‘100’ come through, where you could see the magnitude of all the exc itement and many months of preparation unfold before a television audience of millions,” said Robinson. 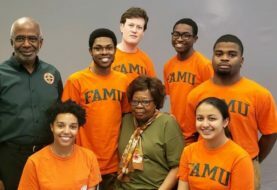 The band’s Los Angeles trip was supported by Los Angeles-based philanthropists and FAMU alumni Bernard and Shirley Kinsey, who also helped line up appearances for band members, so that students could experience Los Angeles and Los Angeles students could experience FAMU. The band made seven public appearances, which included Bandfest, a showcase for all 20 bands invited to march in the parade, and at First A.M.E. Church of Los Angeles, where Pastor Emeritus Rev. Cecil “Chip” Murray is a FAMU alumnus. 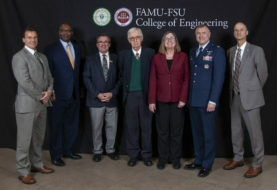 Immediately following the five-mile parade, FAMU Director of Bands Shelby Chipman, Ph.D., said he hoped the band made everyone proud. The trip was life-changing for students, including Cori Bostic of Atlanta, the band’s first-female drum major. “We take it for granted, but when we perform, we see how excited it gets the people and that makes us happy too,” said Bostic. Band member Duy Tran is a first-year doctoral pharmacy candidate from Fort Lauderdale. “It was amazing, on every block there was a new crowd. We had to be on our toes every time,” said Tran. Nehemiah Fields of Miami thanked his grandmother for traveling to see him perform in L.A. and says she always believed he would get to the Tournament of Roses Parade. He also thanked FAMU and the band for helping him acquire leadership skills. More than 50 FAMU alumni from South Florida and throughout the nation traveled to Pasadena to support their beloved marching band. 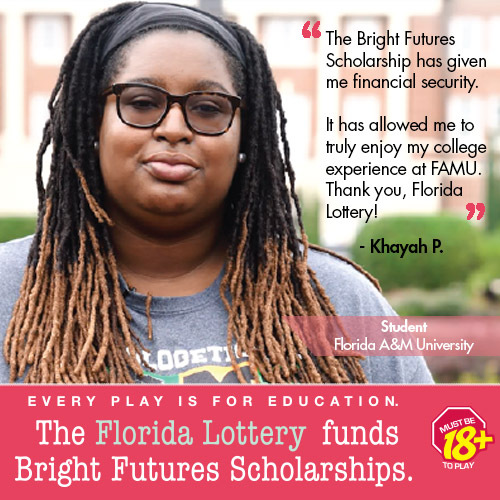 Miranda A lbury was among the group sporting orange sweaters bearing FAMU and a rose. “The Rose Parade was like a lifetime event, and I hear many alumni say this is on their bucket list; so, what better way than to celebrate something on their bucket list and at the same time support our student musicians,” said Albury. Previous article NIKE, Inc. Names FAMU Alumnus G. Scott Uzzell President & CEO of Converse, Inc.